I have had these two pumps for about a year now and one has stopped working Luckily I still have my MP10s they are still running Strong for the last 6 years. They can put out some serious flow and are very programmable with the Apex so I gave them 2 stars for that, but they cause so much vibration that there is a wicked hum in the cabinet. From 1% to 100% they make horrendous vibration induced hum. I have a 90 gallon tank, trying to run 2x WAVs. First, the cord design is not bugging me. Sure, I could have gone with a wireless pump from eco-tech, but that's not even entirely wireless, since you still have a wire running outside the tank. Maybe that's a good thing, maybe not. Second – and this is very important – these pumps are rated at 4000 GPH. At 1% power these pumps still put out a whopping 1875 GPH! Needless to say, when I'm trying to run a mixed reef aquarium on a 90 gallon (Red Sea reefer 425 deluxe XL), at its very minimum speed, it's turning my tank into a cyclone. Running two of them is even worse. Now, I just run one while I ponder this high-priced, un-returnable item. If your tank is far bigger than mine, you might like this a lot. I haven't had any problems with the pumps failing, though they may need to be reset, as their special settings are not working. Right now it looks as though they are both spinning the same rate, regardless of the fact that I have pulse turned on for part of the day as well as, Mavericks, Malibu, etc. The pumps move plenty of water in my 210. Unfortunately, after 20 months, one stopped working. I submitted a ticket online with customer support and it took 3 days to get an appointment for a phone troubleshooting call. Of course, they couldn’t get it to work so I have to send it in for service. While that unit is with them, the second unit stops working. I now have to send that into them as well and hope it’s just a cheap fix for both. In my opinion, there is now way both units should be going bad within 20 months. As others have mentioned, having no flow in the tank is a huge problem so I’m running a bunch of smaller, cheaper ones that I had laying around. Of course, those units still work. I expected better from Neptune. Poor reliability and poor customer service to make you wait 3 days for a service call. Lesson learned. Pumps worked great after installation. It was an easy setup. Even with regular maintenance first pump failed after a year and 10 months. Second pump failed a month later. Like others my WAV pumps quit just after the warranty ended despite everything looking okay on Fusion. If you check the Apex Community Forum, there are lots of people having this problem. I don't use KALK, I gave them a vinegar bath every few months, etc. 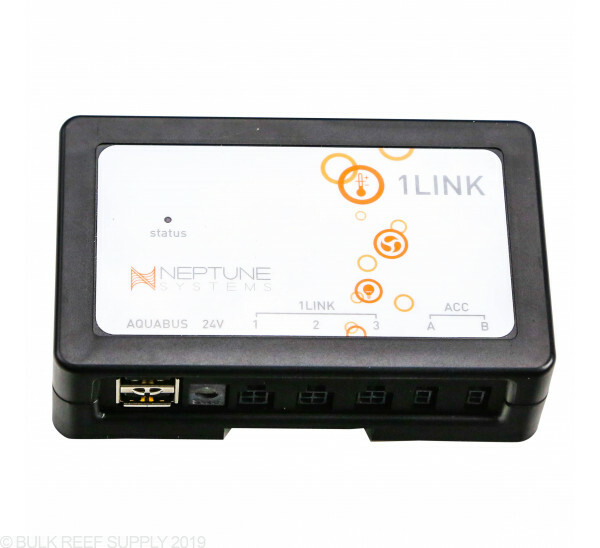 - As one unhappy owner put it, "Neptune makes great controllers, but if you want a great pump, buy it from a pump company." I feel like I bought in too quickly to this product. Also as others have said they are a nightmare to clean. BTW, my 5 year old Vortechs (which were put away when I got the WAVs) are back on the tank and are working perfectly. got the starter kits with 2 WAV February 2016. Great when they work. One pump just died after 1 year, I am getting a gyre instead when the 2nd WAV quits - i know it is coming. Terrible product for $500. Overall I am very happy with these pump. They move a lot of water and my problem was to place them and dial them to a way it provides enough flow for my tank without displacing sugar size sand. The amount of flow produced by these is absolutely amazing. Cleaning so far it's easy although the adjustment of the pump angle was easy in the beginning and now it's a little more stiff. 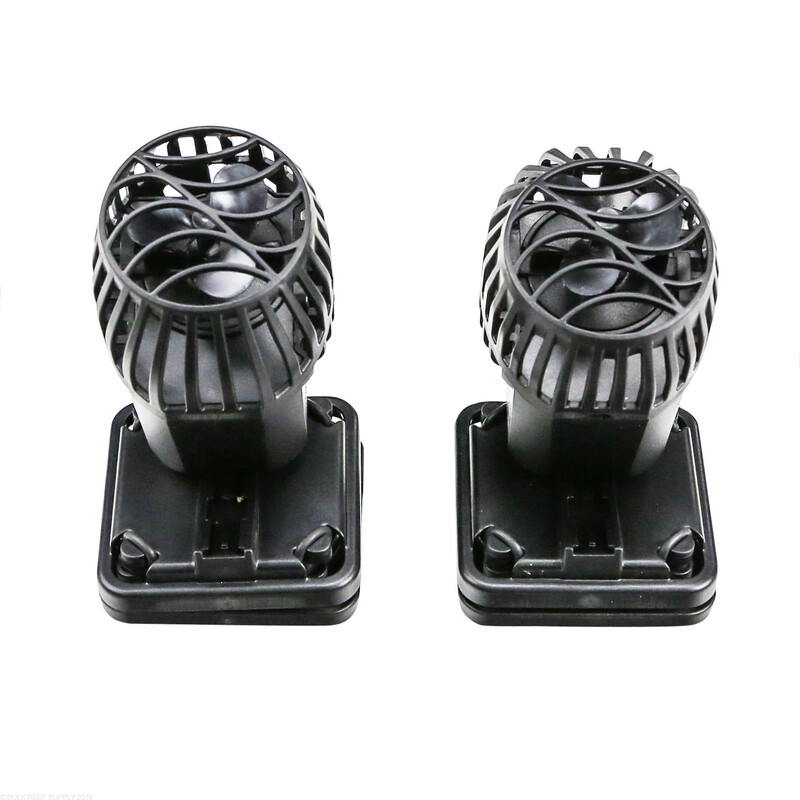 The mode available are very good and I consider these as flexible as the Vortech with adjust-ability of Tunze. I have only one comment: Even if Neptune claims the pump are silent they produce more noise than the Tunze. Aside from that I am very happy with the purchase and I will get next year 2 more to replace my last 2 Tunze. These pumps froze after less than six months of use. Neptune denies the noise that they emit. Of course they think they are the best, they have created the best controller on the market. Their pumps on the other hand are junk. I have had Tunze streams going on 8 years in the same tank with no problems ever. This is an update to my earlier review after 6 mos. of use. They still have very powerful flow... but what a mess to CLEAN!!! Unlike my Vortechs you have to take the whole thing including the wires out to clean the power heads... so I'm not so happy with this purchase after all. If you have a huge tank maybe the extra flow is worth it, but the Vortechs are much better over time. I would have purchased an extra Vortech if I'd known what a dripping mess these powerbeads are to disconnect & clean. How long is the 1-link cable? That's the limiting factor on how how far away the power heads are from the 1-link module right? 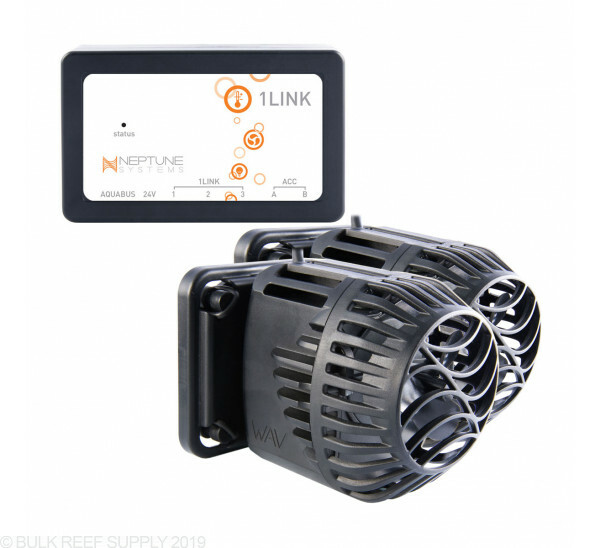 The WAV pumps comes with a 3 Meter cable that will allow them to connect directly to the 1Link Module. 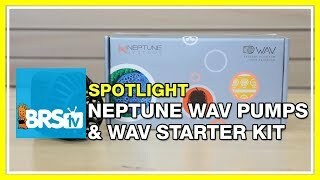 The WAV Starter kit does include a 3 foot AquaBus cable as well, but if you need a longer one they are available separately.. 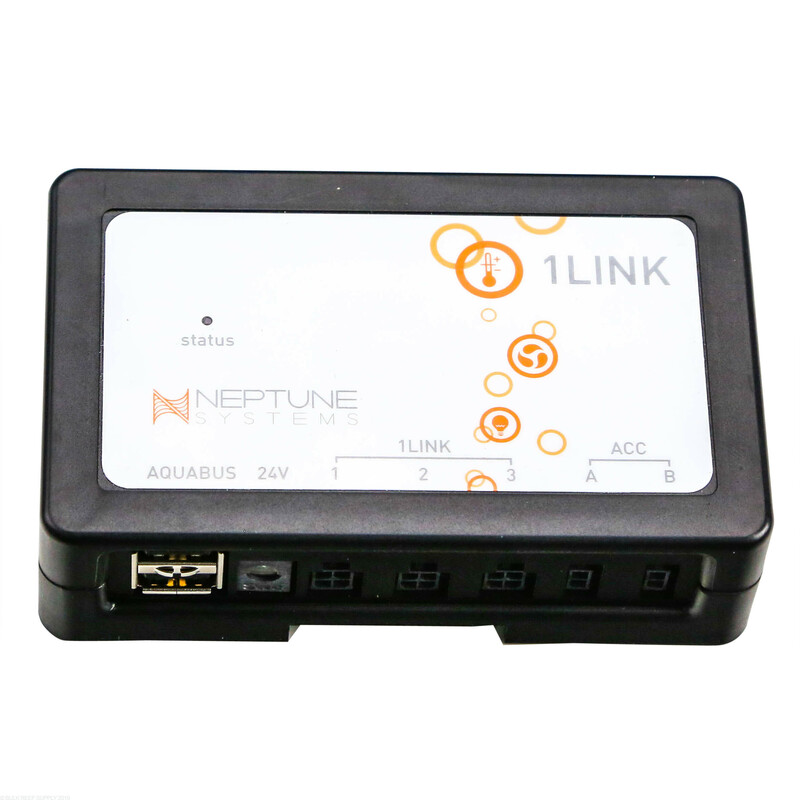 The 1Link Module will attach directly to the power supply to support the power needs of up to 3 WAV pumps. What are the acc ports for? can you attach a battery back up to this unit? Hopefully in the near future there will be a battery back up option available directly from neptune systems. Feel free to let us know if you have any further questions! 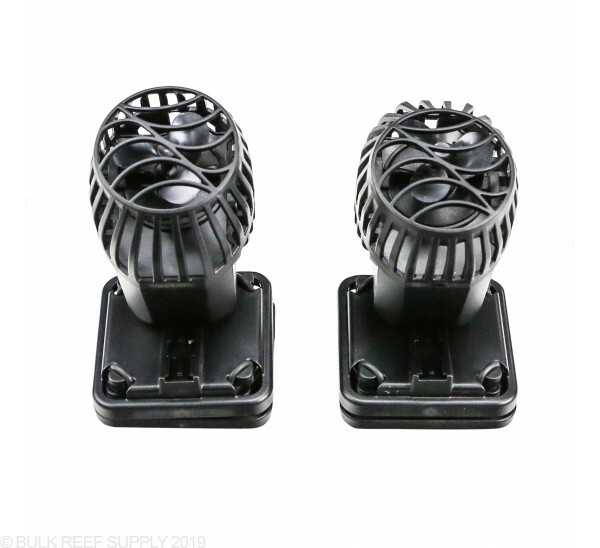 I purchased 3 powerheads originally for a 225 mixed reef now looking into selling the 225 and getting a new tank, 96" long x 32 deep x 29 tall, will these be enough flow for a mixed reef or will I need to buy another setup? If the 3 power heads are the WAV from Neptune system they certainly will be able to handle the flow rates. You will want to look for dead zones and possibly consider adding an additional if a dead spot is found. I'm thinking purchasing the Wave starter kit the one thing holding me back is some reviews state that even at 1% flow its still very strong causing sand storms. Obviously tank size and sand texture will contribute but are they too much for my tank 24"x40"x18" high with medium textured gravel? I plan on mounting them to the back wall. The lowest setting on the pump would be adequate for around a 55 gallon tank at the smallest. Overall this can work well on your system however is a rather intense pump which would need to be reduced down. Feel free to let us know if you have any further questions! The Flow with 2 will be just about perfect on a 220. For the power supply the 1link module will be built into the new EB832 power bar on the new apex unit and no additional power supply will be needed. Feel free to let us know if you have any further questions! I take it you need the Apex controller to control these pumps since the 1-link module has no control features...is that correct? 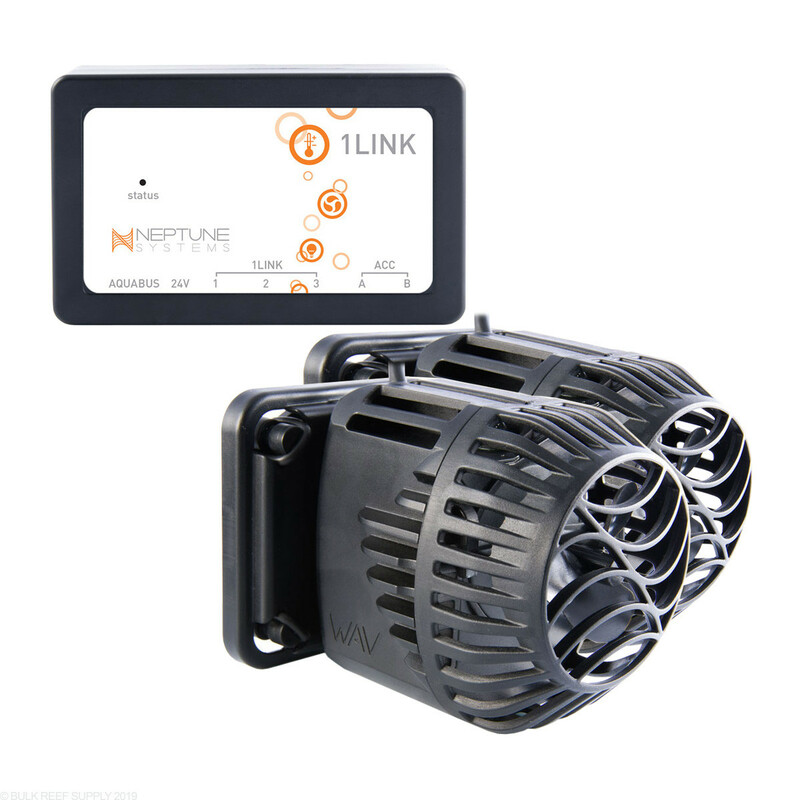 You will need the Neptune Apex to run these pumps. Feel free to let us know if you have any further questions! These can be adjusted to work with a wide variety of tanks. Overall they will be great with a 93 gallon. You can run one at a higher intensity instead of having 2 full units in the tank as well, however to keep dead spots down you may want to consider two at lower levels. Feel free to let us know if you have any further questions! What is the minimum flow and tank size? The pump is 4.5" long, 3" tall and 3" wide (at the base). 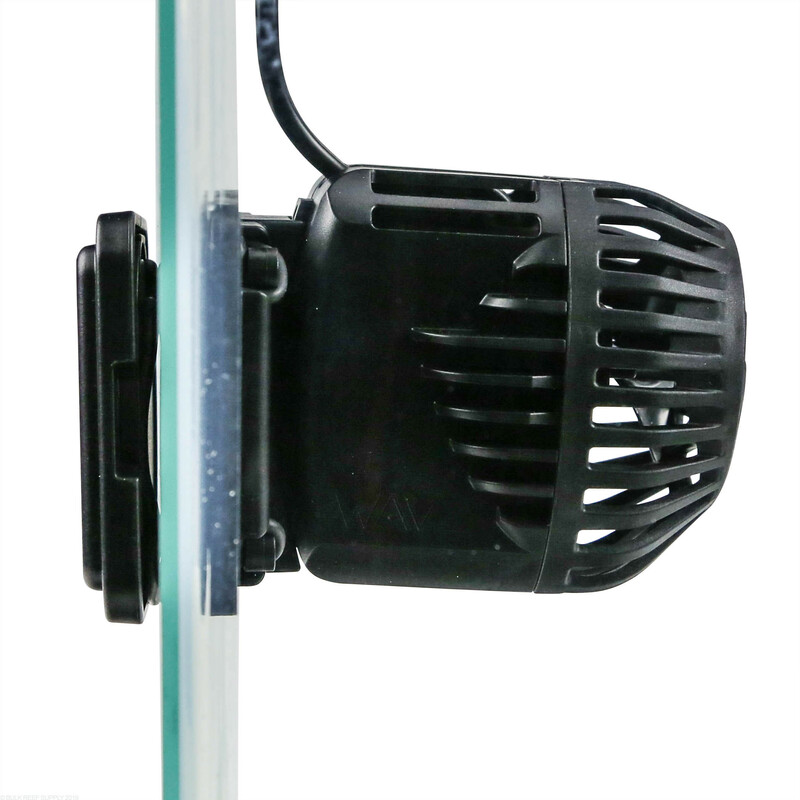 This is designed for large systems around 75 gallon or bigger. the minimum flow is not an exact number however would be approximately around 600 GPH or so. Feel free to let us know if you have any further questions! 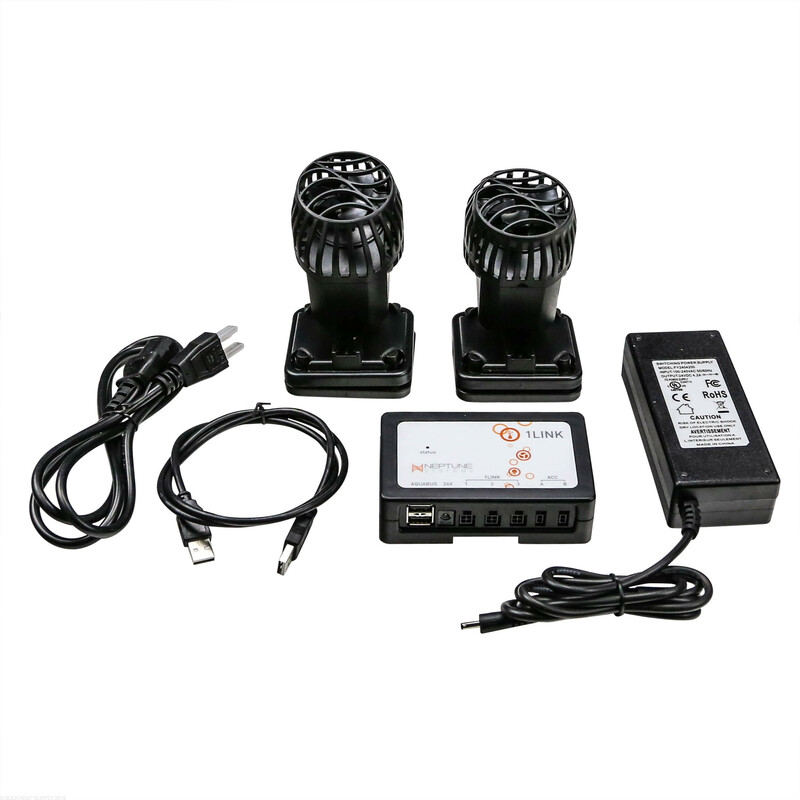 Hello, is there an option to only get one power head with module ? I have a Red Sea 130D and I have seen multiple reviews where in smaller tanks they are to strong. I am looking at getting the Apex Gold but need to replace a MP10 and this would be an excellent replacement as it will be a complete Apex system. The WAV pump would be way too large for the Red Sea 130D. We would not recommend going for it as both space in the tank and flow would be too great. Overall a pump around 300-500 GPH would be much better suited. Feel free to let us know if you have any further questions!